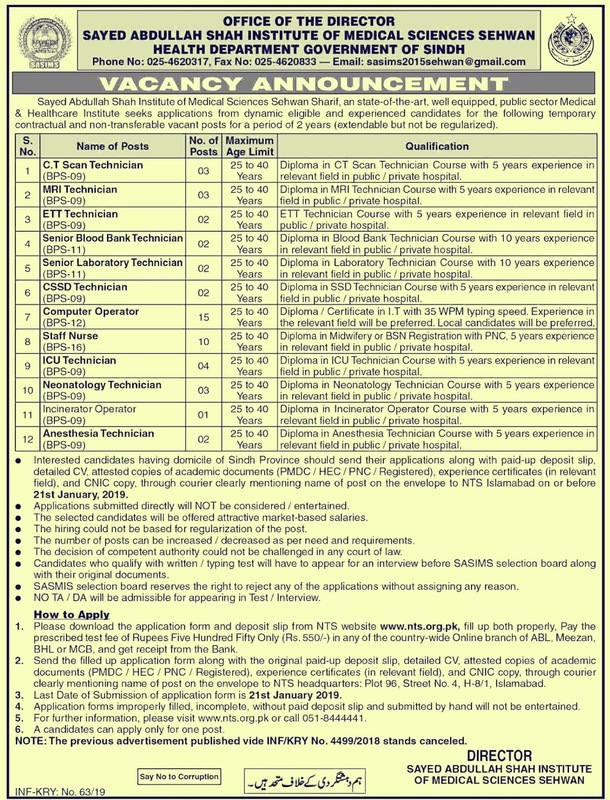 Government of Sindh has announced many jobs in Sayed Abdullah Shah Institute Of Medical Sciences Jobs 2019.The whole Sindh people can apply in the job of Sayed Abdullah Shah Institute Of Medical Sciences (SASIMS).I will give you complete information about this job and will tell you how to apply.Various jobs have been announced in the Sindh Health Department.More than 50 jobs have been announced by the Sindh Government in the Health Department Sayed Abdullah Shah Institute Of Medical Sciences.In Sindh Health Department, both boys and girls can apply. 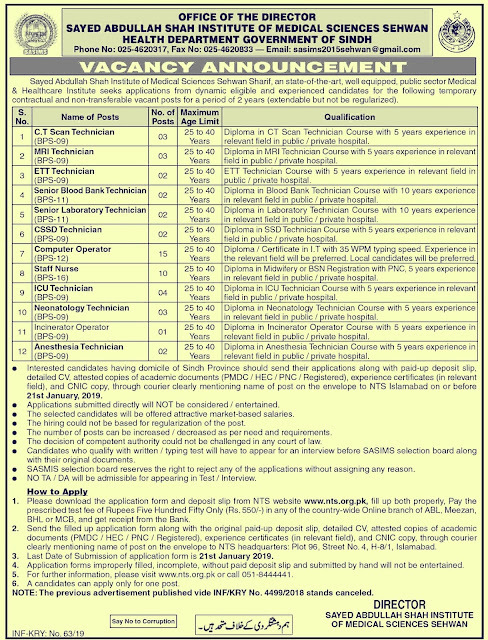 About 50 jobs have been announced later by Sindh Government in the Health Department. You must be 25 to 40 years of age to apply for this job.